Panel discussion on immigration and on making the film "Anywhere Else" will follow the film screening. In cooperation with FAMU. Asmara Beraki - Director of the film "Anywhere Else"
Asmara Beraki was born in San Francisco but grew up in Washington DC. 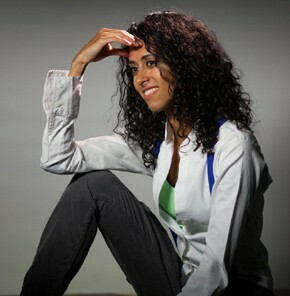 Her father’s Eritrean origins inspired her to make Anywhere Else, her graduation film from Prague’s Film Academy (FAMU). After the picture won Best Feature Film at FAMUFest in 2012, she began teaching short film direction at the Academy. Her feature debut The Narcissists is currently in preproduction and will be shot in Prague and New York.